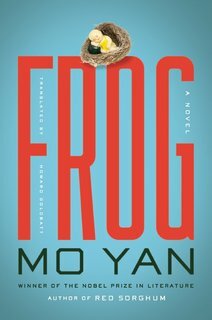 A "story about China's one-child policy", this novel is more of a family tapestry centered around the narrator's aunt, a character loosely based on Mo Yan's own aunt. A worker in a rural health clinic, the aunt is first renowned as a miraculously skilled midwife, but later, as she is required to enforce China's new family planning laws, she is reviled and demonized, bearing the brunt of rural society's resentment of interference it its ancient ways. 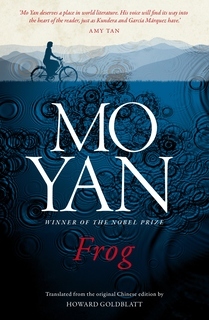 Told in the form of four letters and a play, Frog is a departure from Mo Yan's previous florid prose style in its simplicity and directness.